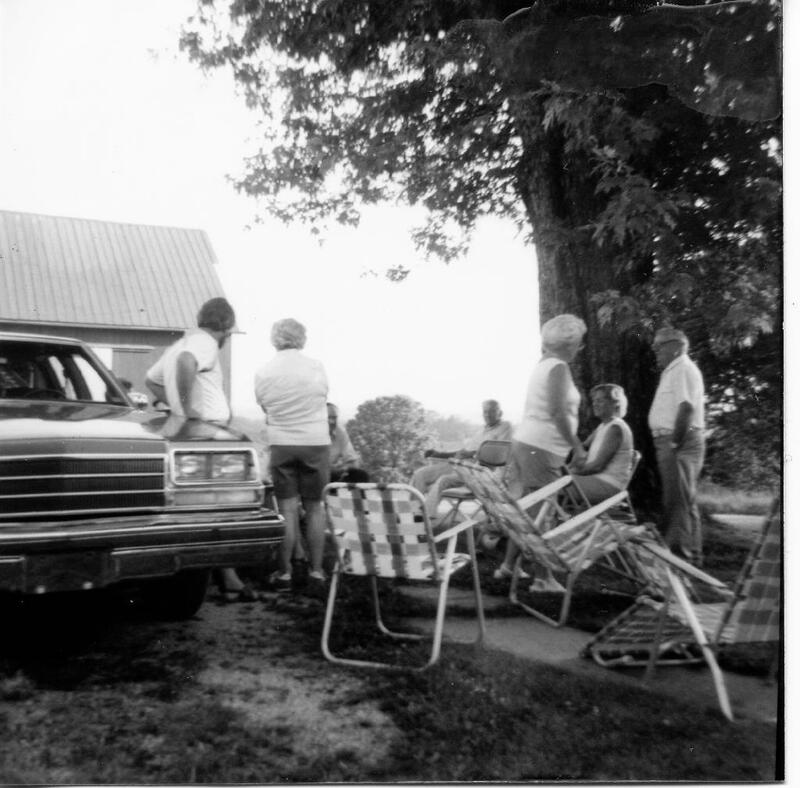 In 1983, Dan Dugan commandeered an RV and brought his family from the West Coast to Ohio to meet their cousins. 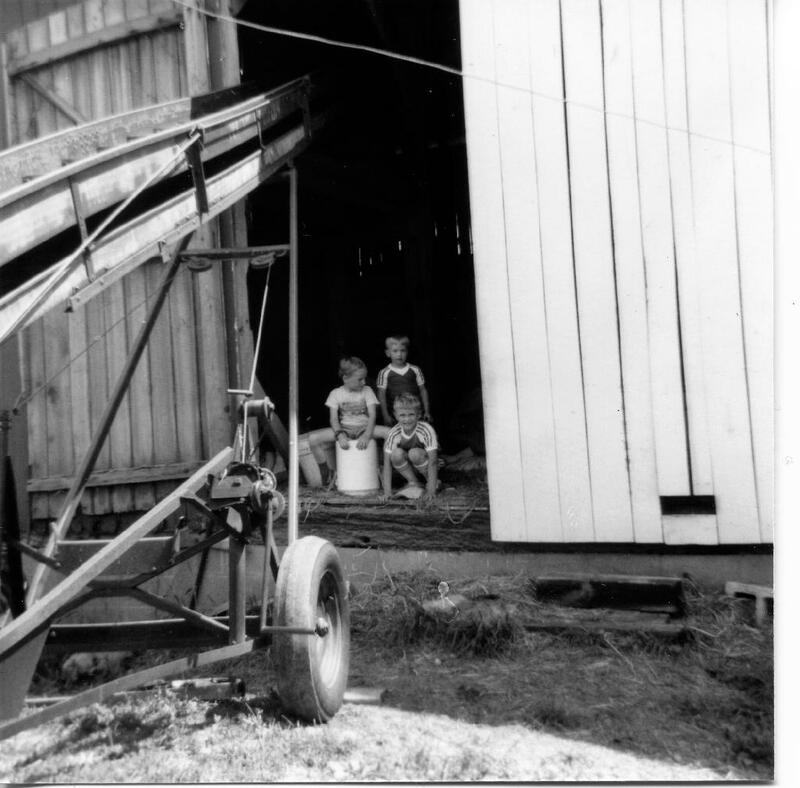 As usual, Frank and Margaret Dugan hosted a big gathering at the farm in McConnelsville. Peggy and I brought our family from Canonsburg, PA. Cheryl and Dave Rambo brought their family from Crooksville, OH along with Landon and Dorothy Long. John and Marsha Long came from Newark(?) and Karen and David Kinney and family from eastern Ohio. I didn't remember that Bob Dugan was there, but he is in the pictures. Not sure where he came from in that year (Hawaii?). Glenda says she was there, too, but avoided the camera. 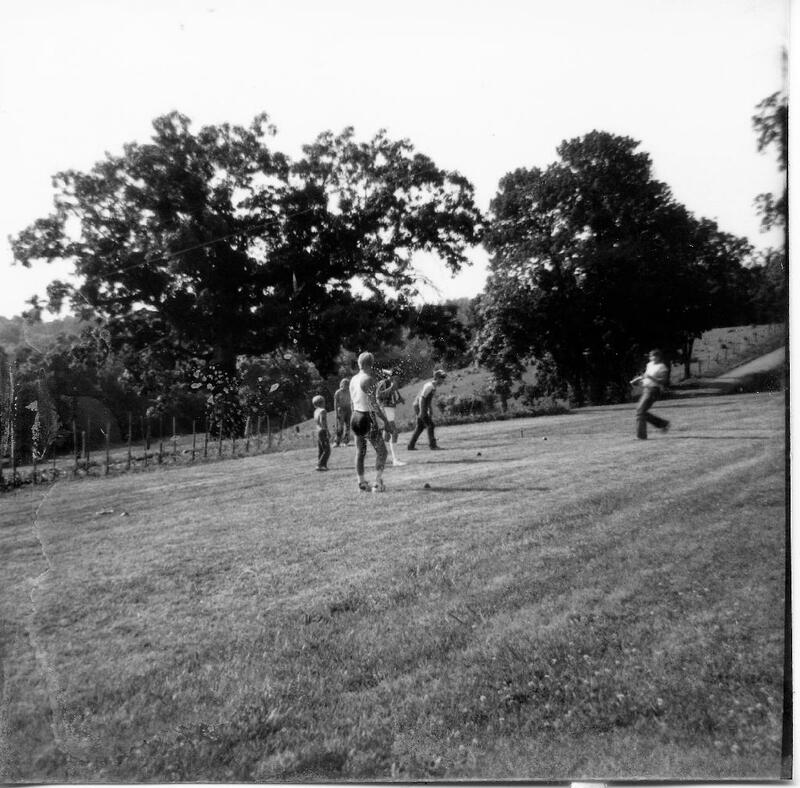 I think these photos were taken on Mom's old Brownie Reflex camera. 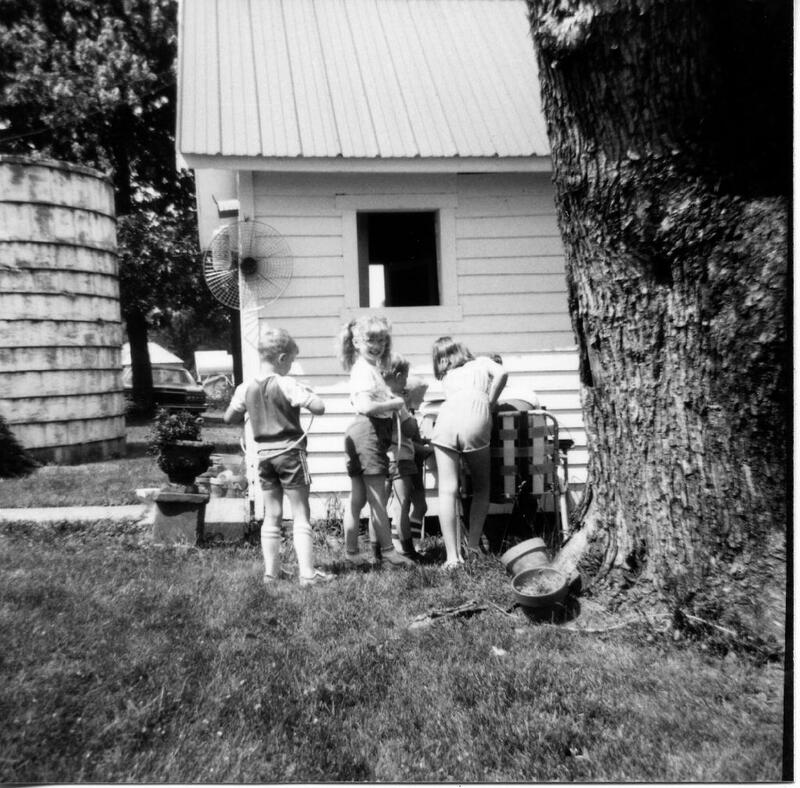 I recall I had forgotten my camera and we were scrounging around for a camera and it still had a roll of B&W film in it. Well, it obviously worked. She likely also took several photos with her camera, if we only knew where to find them. Enjoy reminiscing about the old times! Trying to "herd cats" and get everyone lined up for a group photo. 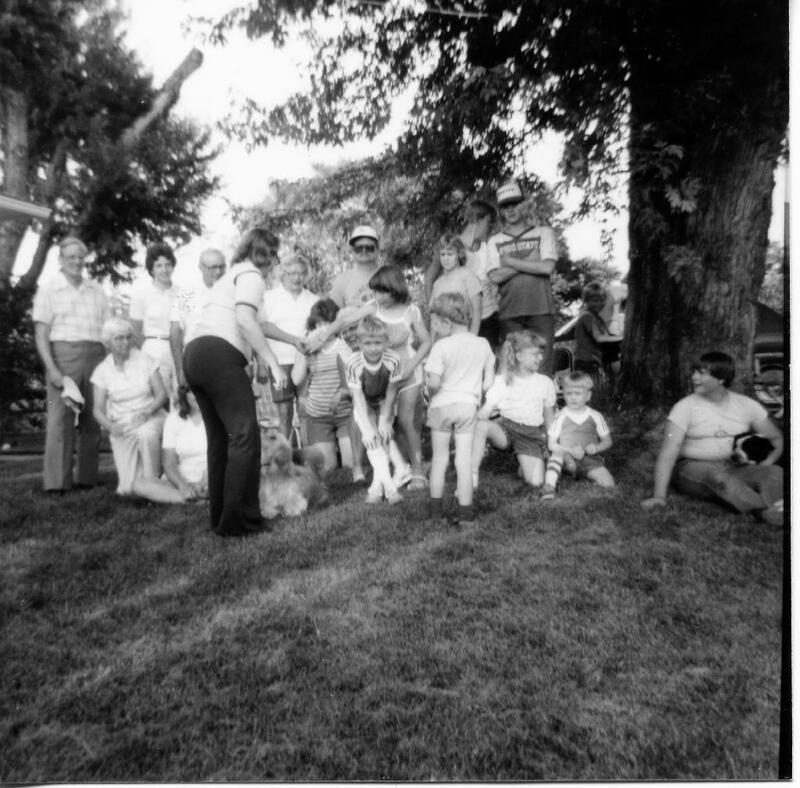 L-R across the back: Wayne Dugan, Peggy Dugan, Frank Dugan, Margaret Dugan, John Long, Kelly Rambo (? ), Scott Rambo, Jim Kinney, and _____ (?). L-R front row: Martha Dugan, Glenda Dugan(? ), Marsha Long, Dorothy Long, Kevin Dugan, Meighan Dugan (behind Kevin), Joshua Dugan (back to camera), Kathy Dugan, Greg Dugan, Steve Kinney. Karen Kinney in front with backside to camera. Bob (?) 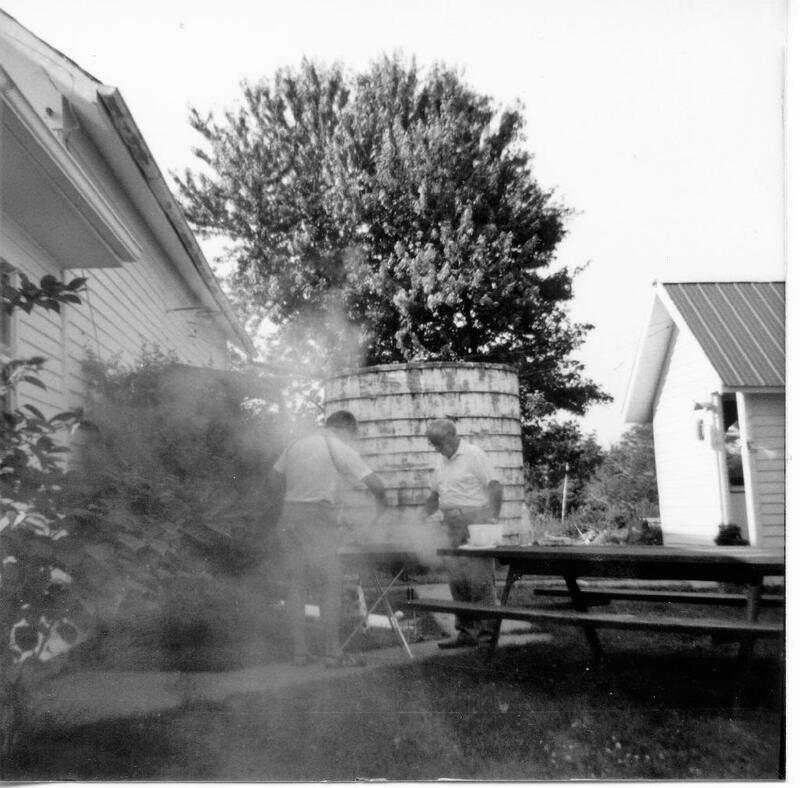 Dugan and Frank Dugan doing some grilling. Meighan Dugan and Kathy Dugan. 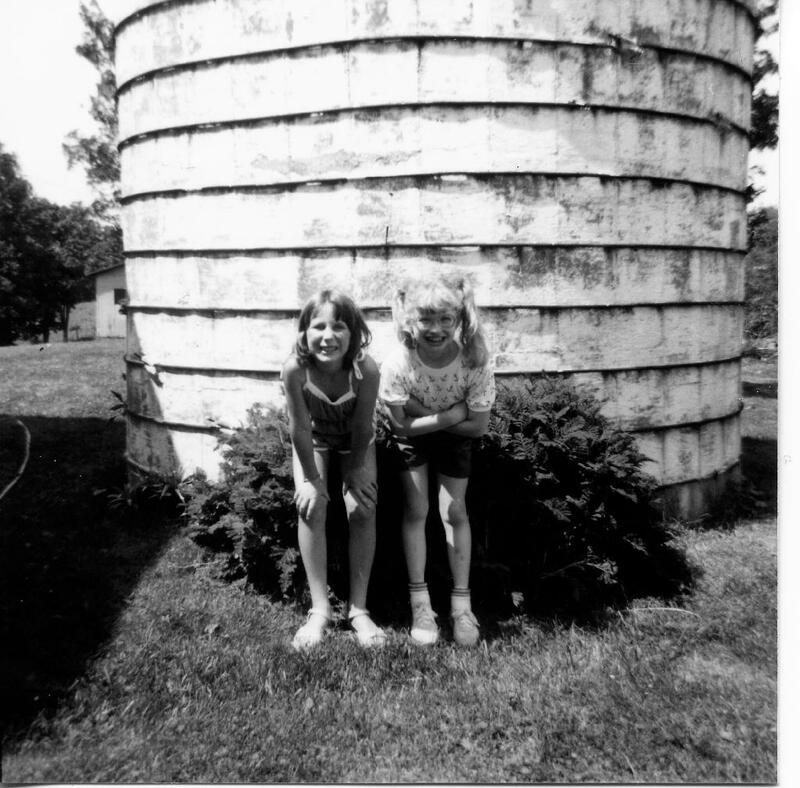 In front of the old above-ground cistern that collected rain water off the roof (no longer there). Looks like Dan Dugan and John Long playing some basketball. Kevin Dugan and Joshua Dugan are watching the action. 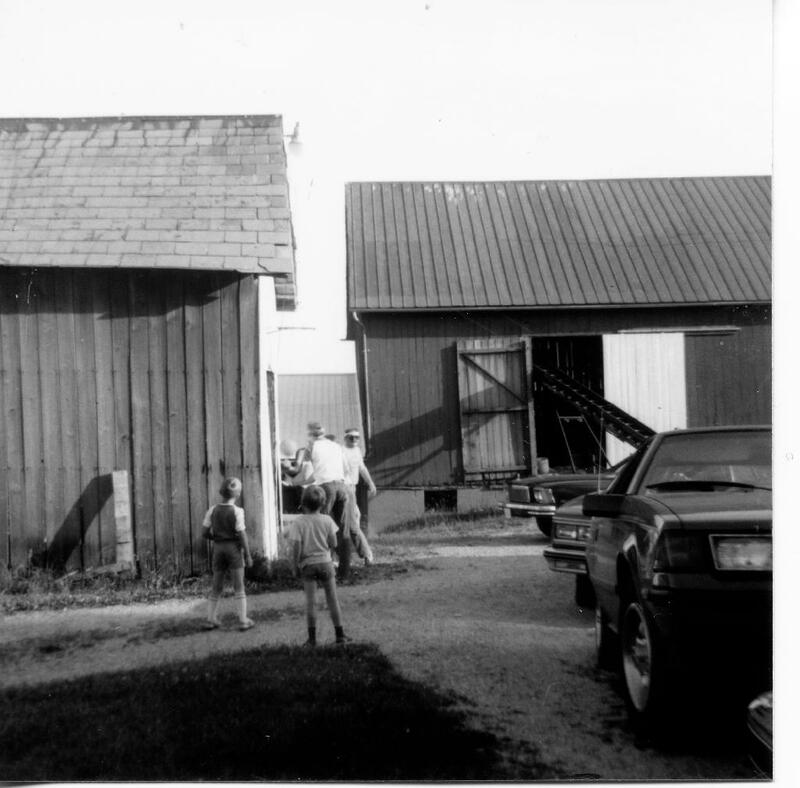 Bob Dugan, Margaret Dugan, Dave Rambo, Landon Long, Dorothy Long, Cheryl Rambo, Frank Dugan. 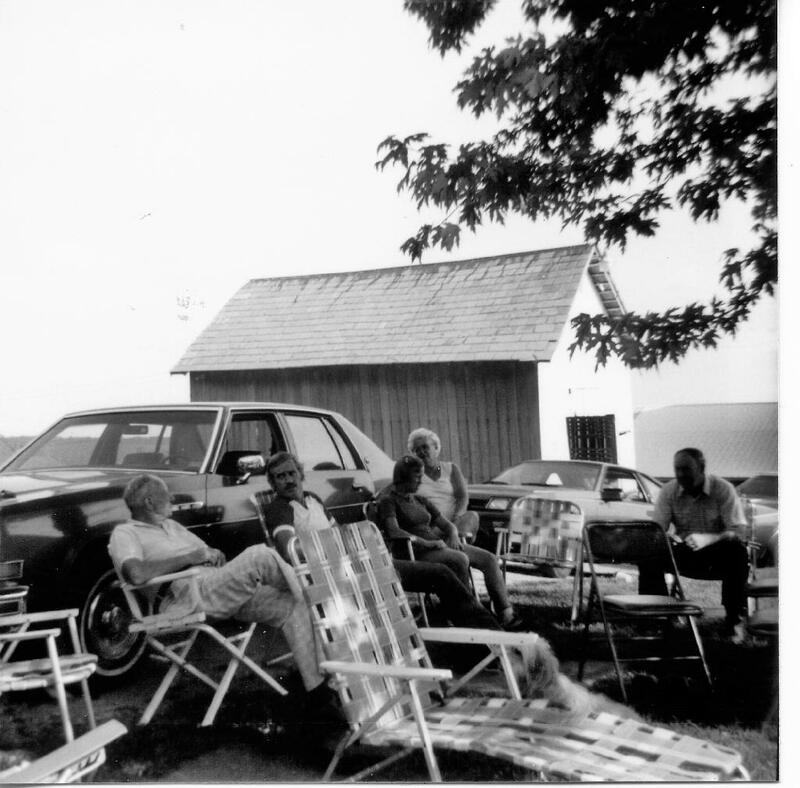 Bob is leaning on Roger and Peggy's 1979 LeSabre. Perhaps, was the last year of the full-sized passenger cars and was a good car for us until we left PA in 1988. Meighan, Kathy, Kevin (still missing a tooth), Joshua, and Greg --- all Dugans. 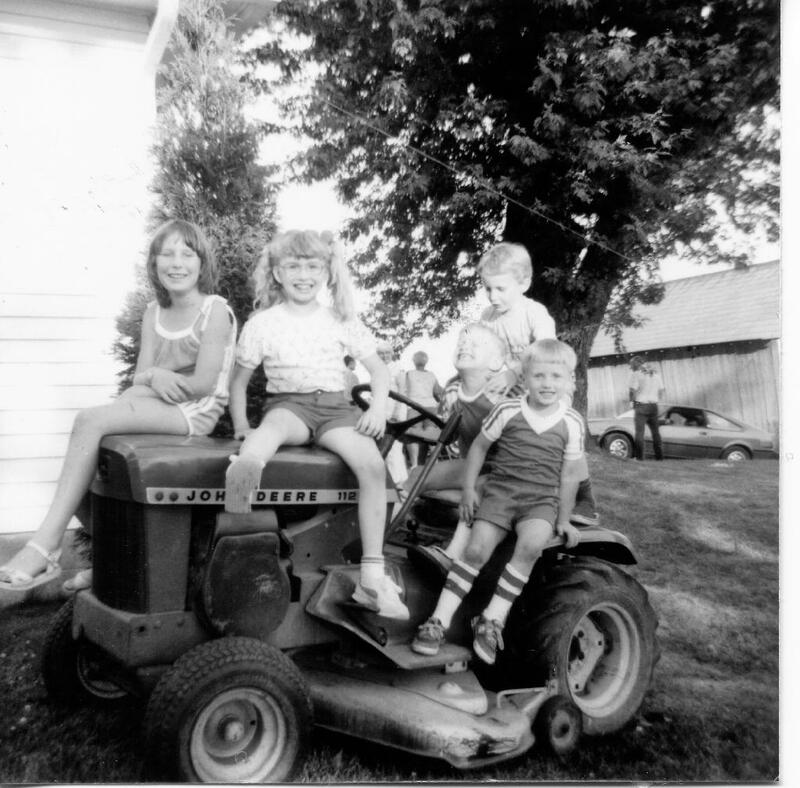 It's a wonder we didn't kill someone with that tractor that day. Landon Long, Dan Dugan, Shelly Rambo, Dorothy Long, Dave Rambo. 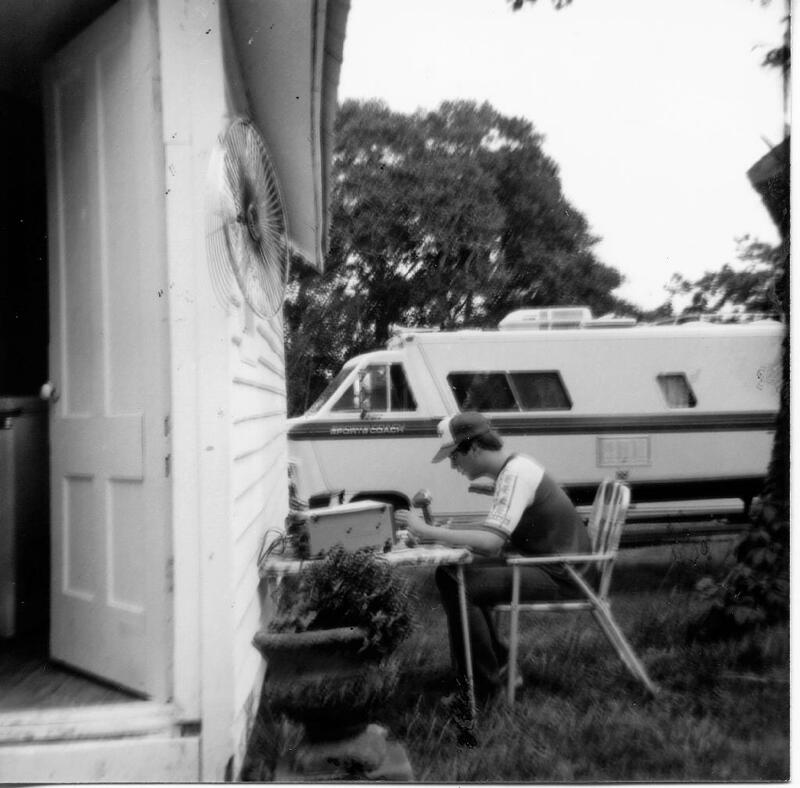 Jim Kinney operating his ham radio rig. The RV that Dan used to transport the West Coast folks is in the background. Jim Kinney was drawing an admiring crowd of onlookers. Kevin, Kathy, Joshua, Greg, Meighan. 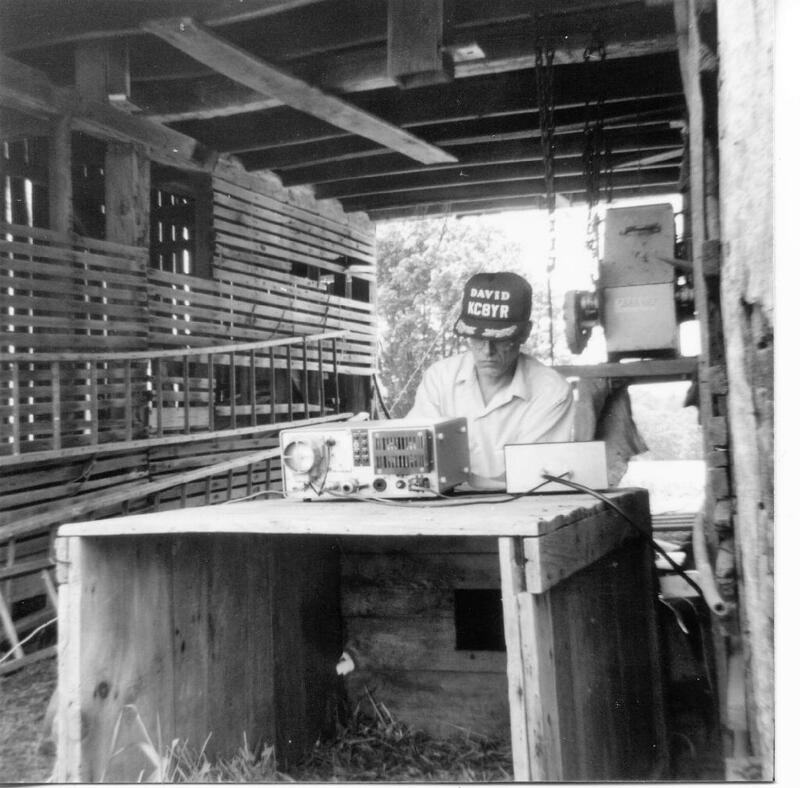 David Kinney operating his ham radio rig out of the shelter of the old wagon shed (now gone).